TOMORROW!! 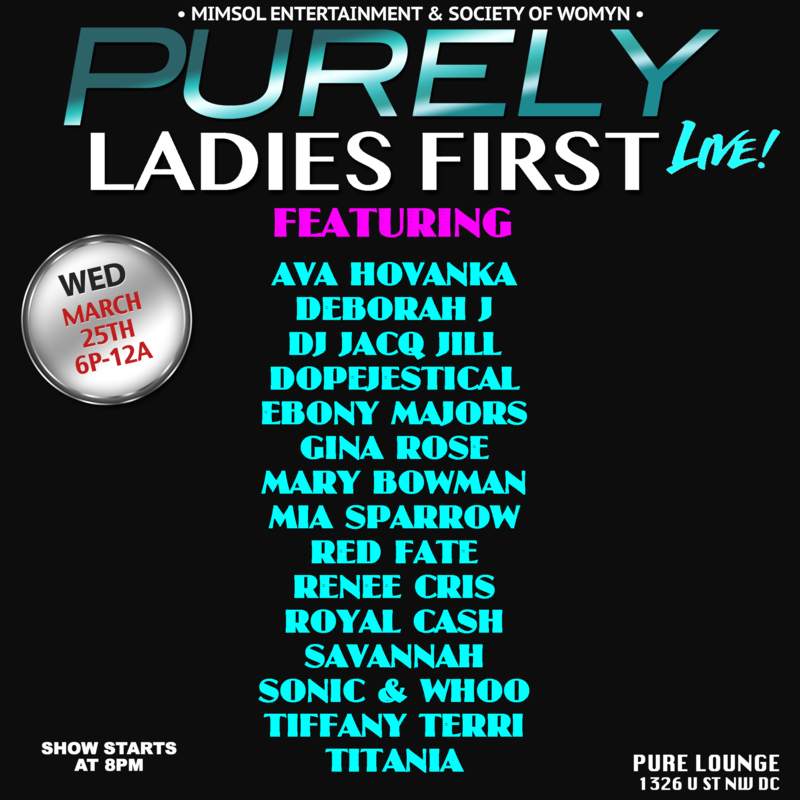 #PurelyLadiesFirstLIVE at Pure Lounge in DC 6p-12a!! Every 4th Wednesday of the month, enjoy an ecclectic mix of LIVE performances by DMV’s hottest and up and coming artists and entertainers. Our features include: Comedians, DJs, Fashion Designers, Femcee’s, Musicians, Poets, Singers, Spoken Word Performers, Visual Artists, etc. We will also provide networking opportunities for female entrepreneurs and small business owners to share there work with the LIVE audience! * 2-for-1 drinks specials until 7p!! * $5 PREMIUM Drinks 7p-10p: Ciroc, Grey Goose, Grand Marnier, Titanium & Jack Daniels Honey Whiskey!!! * Show starts at 8p!! * $24 LIMITLESS Hookah all nite long!! THIS WEDNESDAY!! 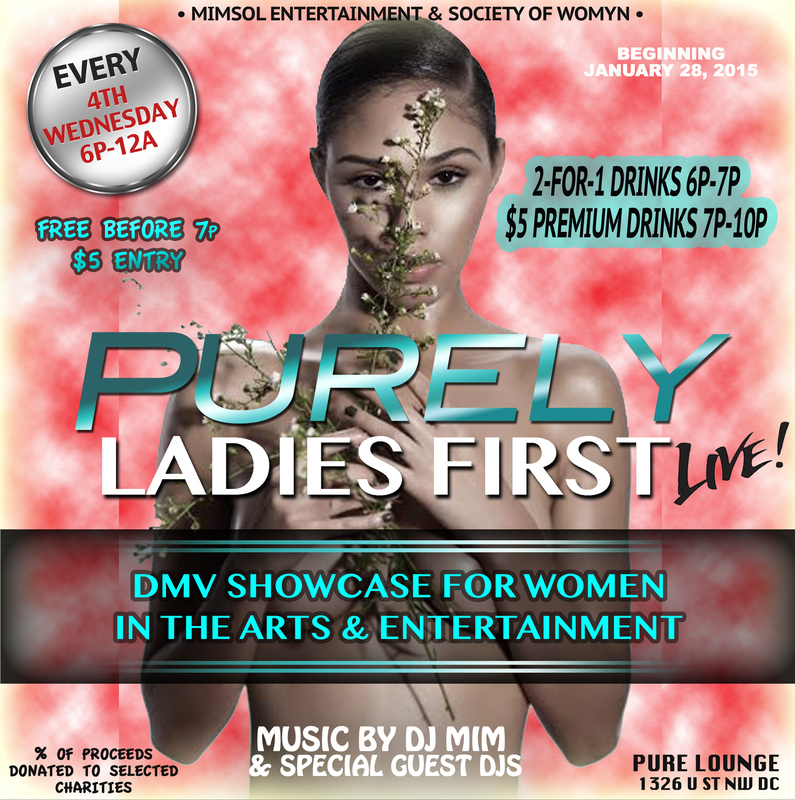 #PurelyLadiesFirstLIVE at Pure Lounge DC!! 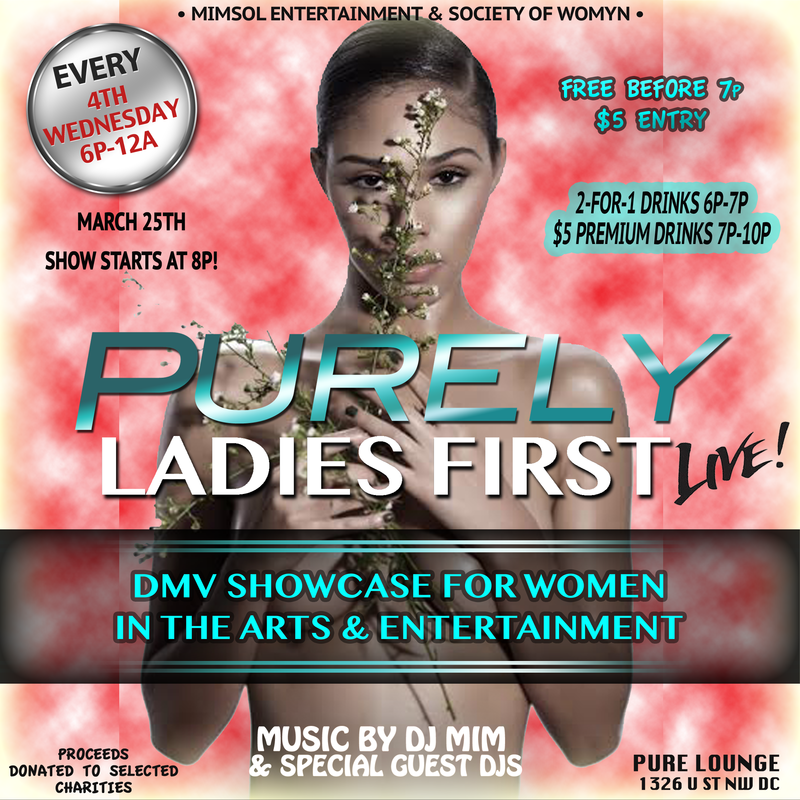 Once a month, enjoy an ecclectic mix of LIVE performances by DMV’s hottest and up and coming artists and entertainers. Our features include: Comedians, DJs, Fashion Designers, Femcee’s, Musicians, Poets, Singers, Spoken Word Performers, Visual Artists, etc.